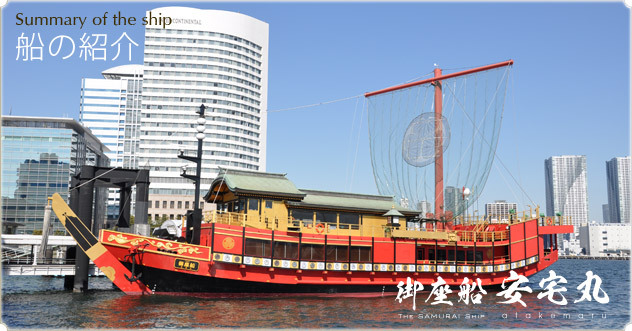 The other day on the JapanStyle Facebook page, I made a post about the Edo-era style leisure boat traversing Tokyo Bay three times a day. Look at the beautiful hull. Really cool (^^)b! It looks as if this boat has been transported forward through time, doesn’t it? 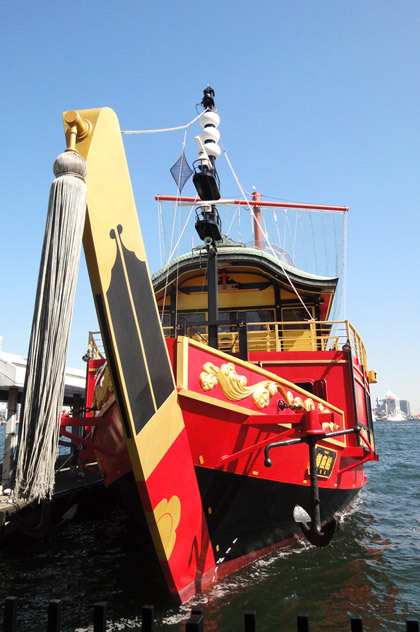 The leisure boat is a replica of a warship called “Atake-maru” built by Tokugawa Iemitsu in 1632. 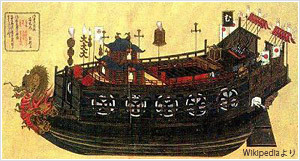 In those days, warships were generally called “Goza-bune”, and later the word came to refer to the luxury ships for shogun (commander of a force) or daimyo (powerful territorial lord). Now, let’s see the details of Ateke-maru! Beautiful curved lines of the cabin roof. This kind of roof is called “Karahafu” style. 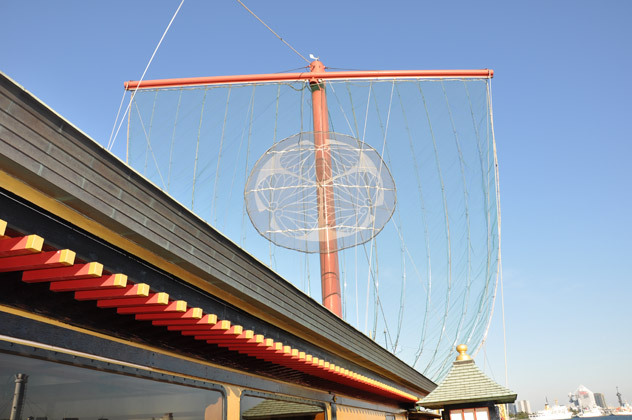 Tokugawa’s family crest called Aoi-no-gomon is on the sail. Let’s see inside of the ship. 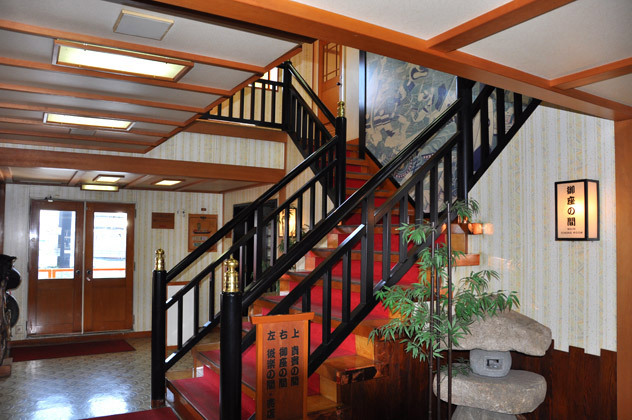 A stone lantern and lacquered handrails make the room very Japanese. Guest seating. 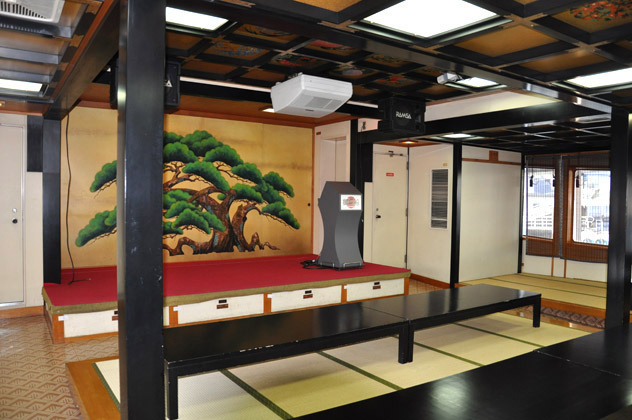 There are no chairs but tatami mattresses. 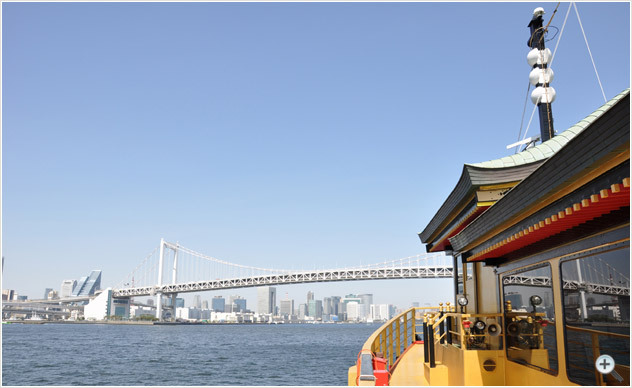 Splendid view from Atake-Maru. You can get a full view of Tokyo Bay. Atake-maru plies between Hinode pier and Aomi, taking fourty minutes (one way). 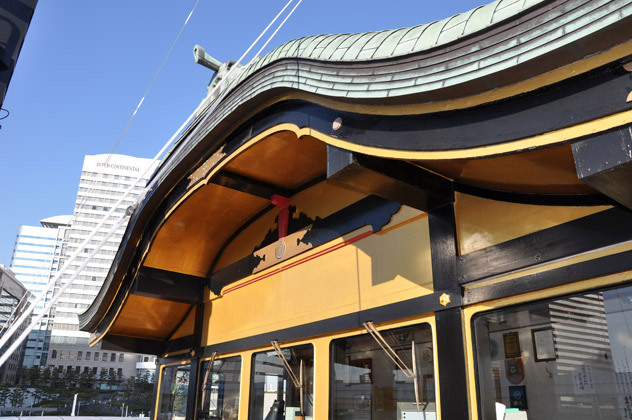 The regular fare for an adult is ¥1,000 (US$12) / one way and ¥1,500 (US$18) / round trip. If you have a chance to come to Tokyo, try Atake-maru. It will be a lot of fun! !